There are two phases to building your own YourCloudTelco. 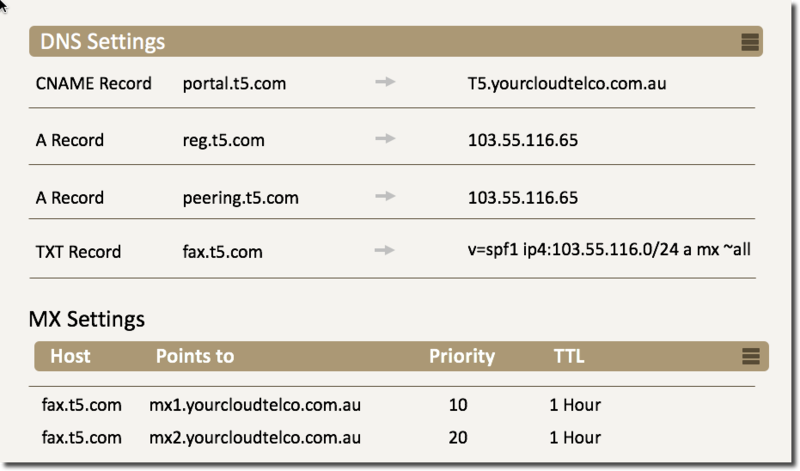 Trial Signup: Create your own telco with the TakeOff trial signup starter service which includes the YourCloudTelco Management portal (‘CAP”) and customer PBX using the TakeOff calling rates. Full upgrade: Once you have decided to go to the market, complete the upgrade form to convert your TakeOff trail to full service YourCloudTelco . Complete the TakeOff form. Below is a list of things you will need before you get started. Domain – for your Management CAP. To access the Cloud PBX through the Management CAP look here. To complete the Build YourCloudTelco form you will need to have, and or completed the following. Login details: to access this form you will need to provide your credentials provided in the trial signup. Service Offer: This form captures all the products you will sell to your customers. If you need help with this form it may help to speak with our sales team (1800 150 686). Vanity URL’s: for the service build including Cloud PBX portal, any SIP proxy (Registration / Peering) and vFax. ‘admin’ email alias: required to purchase a Cloud PBX SSL certificate on your behalf. Correspondence emails: The platform sends a variety of communication emails, voicemail, faxing, call recording, web conferencing, accounts and billing. Company logo: maximum 400 pixels wide by 120 pixels high. Because your customer Cloud PBX portal will contain credit card and sensitive phone credentials, we have mandated that all Cloud PBX portals use an SSL certificate. To simplify this part of the process we will purchase the certificate on your behalf from our preferred suppliers ServerTastic (see instructions below). To enable us to purchase an SSL certificate on your behalf, you will need to create an admin email alias on your mail server (i.e. ‘admin@yourdomain.com)‘ which the certificate issuer uses to validate your authority of the domain. The SSL certificate applied to your Cloud PBX vanity URL must be identical to the CNAME record that we request you to apply to your DNS below. To complete your customisation of the build process we ask you to make the following four entries against your DNS. Use MxToolBox to verify MX records for a domain in priority order. With the lookup checked directly against the domain’s authoritative name server, the MX Records should show up almost instantly. As part of our service we enable you to use your own vanity URL for your customer facing CloudPBX, which you will do using a CNAME entry against your DNS. For example your domain is t5.com and you want to use portal.t5.com as your vanity PBX URL. Login to your Domain Control Panel > DNS or Name Servers. TTL: set to 1 hour. Depending on your business you can create separate vanity proxies for both Registration and SIP Peering. Behind the scenes, they will both use an A Record and resolve to the same IP address: 103.55.116.65. A Sender Policy Record (‘SPF’) is a DNS TXT record that identifies which mail servers are permitted to send email on behalf of a domain ultimately preventing spammers from sending emails with forged From addresses. Because your customers are ultimately relying on our mail server for fax delivery, you will need to add an SPF TXT record to your DNS to enable the receiving email server to validate that the incoming mail comes from an authorised host (i.e. YourCloudTelco). Once we have received your SSL certificate and you’ve set your DNS CNAME record the final build can begin. YourCloudTelco will rebrand both the Management CAP and PBX with vanity URL’s for the SIP proxies and various emails of the sites. You will then receive a conformation email with all your settings for the service build.